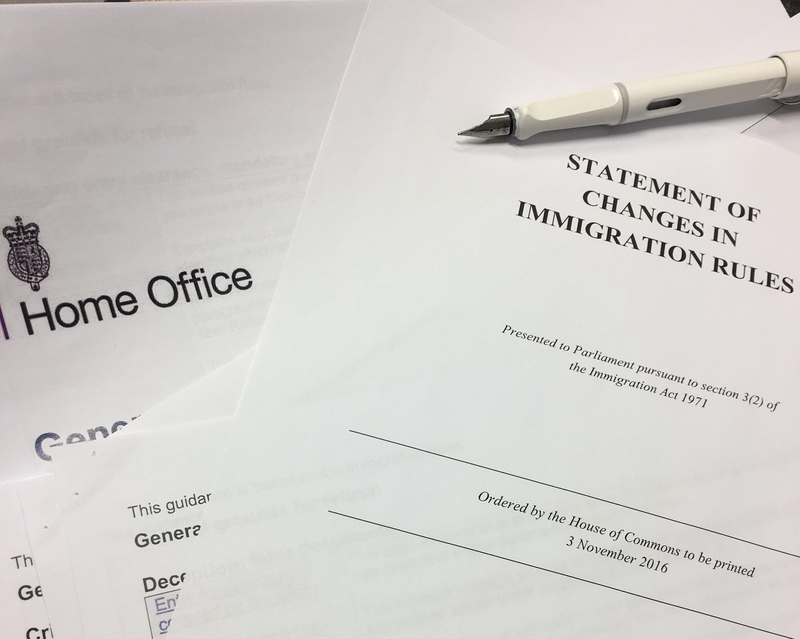 For those who have not noticed, on the 3rd of November the UK Government introduced changes to the UK Immigration rules . These changes come into effect from the 24th of November. This is due to affect those who are going to be making a UK Immigration visa application on or after the 24th of November; these rules may affect you application. For those who have pending applications worry not, as these rules do not affect your application. The requirement also applies to those whose visa is due to expire after 1 May 2017. Overstaying 28 day grace period reduced to 14! Unfortunately, the UK Government has, as usual, not given much notice and for those wishing to settle/work/study in the UK, or if you are looking to extend your visa, please note that these changes to UK Immigration will apply from the 24th of November 2016, and that your application may be affected by this. How can Cross Border Legal assist you? Cross Border Legal are UK Immigration solicitors with expertise in Immigration and Human Rights Law. If you have been affected by any UK immigration matter, please contact Solicitor Tito, a UK immigration and human rights solicitor, for a free initial consultation about your legal options.Call 07544 669131/01163800744 or on Skype: tito.mbariti. We were denied my visitors visa to the UK as I intended to visit by boyfriend(by then). So later after our engagement in Asia, we decided to apply for a fiancée visa but we were worried we could again be denied this visa. So we looked out in the internet for UK immigration lawyers but the reviews we read about Mr Tito seemed real and this attracted us to choose him as our Immigration solicitor. We wet ahead to contact him and he was very friendly and available to help us out of this nightmare of applying for visas. He gave us enough time even out of office hours, he guided us throughout the whole process after providing us with a list of documents we needed to apply for this visa. The whole process was much simplified and at the end of it all we got our marriage visa and Iam now in the UK waiting to get married. The reason I would recommend Mr Tito is because he is a very honest solicitor unlike others who will lie to you and just take your money yet they are such they can't help much. Mr Tito will advise you accordingly about your scenario before you can continue with the process. We really appreciate his efforts in helping us acquire this visa.